Former Formula 1 driver Ricardo Rosset is our guest on the latest edition of The Autosport Podcast as part of our celebration of 1000 world championship races. The Brazilian is unfairly regarded in some quarters as one of the worst drivers to race in F1 after difficult seasons with Footwork in 1996 and Tyrrell in '98 - as well as a brief dalliance with the short-lived Lola team in between. 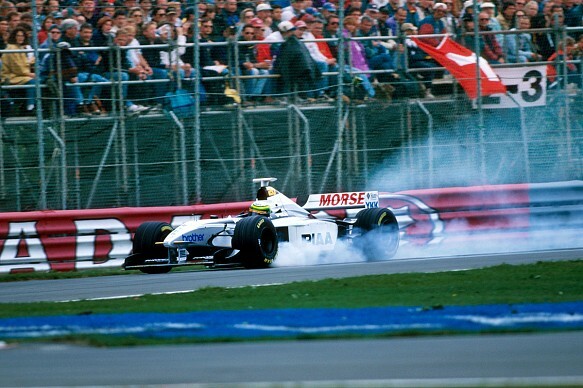 But as a race winner in British Formula 3 and a title contender in International F3000 - a category in which he won on debut - Rosset came into F1 with a good reputation. Rosset is happy to talk about his reputation, and explain the reasons behind the problems he had - including what caused his famous failed spin turn during practice for the Monaco Grand Prix that often crops up on social media. But despite his difficulties in F1, Rosset still justifiably enjoys the fact he spent several years racing at the top level in motorsport - and tells us about a couple of remarkable mementoes he has in his home in Brazil.